Lab-grown meat is exactly what it sounds like, beef made straight from the test tube. Cultured meat is achieved by collecting the stem cells of animals and are multiplied using “non-traditional food technologies." At Thursday's meeting, the FDA will face the following question: How does the government define and regulate a product like "cultured meat?" The animal cell culture industry has been in development since the early 2000s but start-up companies believe they're ready to place the product on the market by 2020. FDA Chief Scott Gottlieb said in a statement that the technology for "cultured meat" could open the door to developing other unconventional food products. The FDA, which oversees the safety of most foods, will make a case on Thursday for its right to oversight of the meat product over the U.S. Department of Agriculture, a government branch that regulates a majority of the meat and dairy industries. "Under the Federal Food, Drug, and Cosmetic Act, the FDA has jurisdiction over 'food,' which includes 'articles used for food' and 'articles used for components of any such article,'" the FDA wrote. "Thus, as a starting point, both substances used in the manufacture of these products of animal cell culture technology and the products themselves that will be used for food are subject to the FDA’s jurisdiction." One of the only U.S. based companies developing "cultured meat" is based in San Francisco, Memphis Meats has been backed by Bill Gates and Tyson Foods. The company says they are making meat that is better for animals and uses significantly less land, water, and energy than traditional methods, according to the website. Eric Schulze, vice president of product and regulation for Memphis Meats, told ABC News they look forward to participating in the meeting at FDA. "Memphis Meats believes that stakeholders across government, including FDA and USDA, and the meat and poultry industries should work together to clarify how the existing regulatory framework applies to clean/cultured meat while supporting innovation," Schulze said. 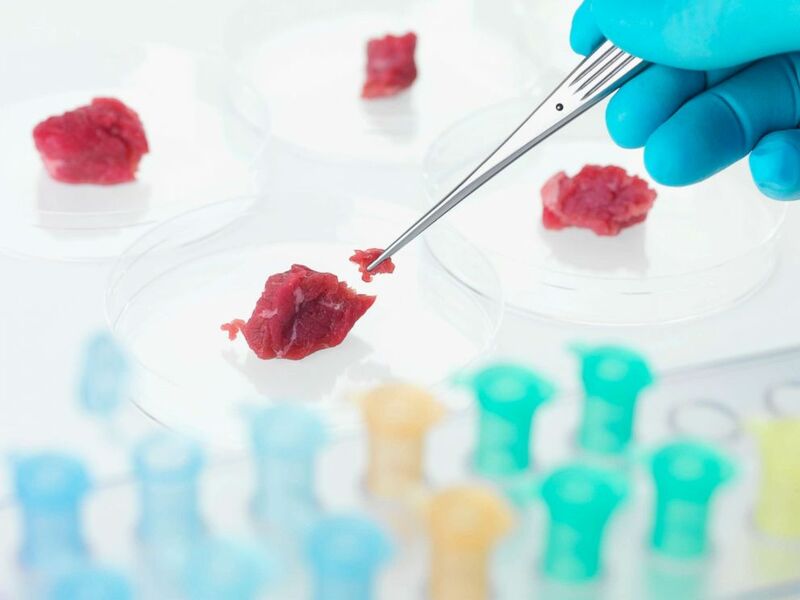 Meat is pictured in a lab in an undated stock photo. A USDA spokesperson said the agency looks forward to working with the FDA on the issue, but no USDA representatives were listed on Thursday's meeting agenda. "As these new products begin to emerge in the marketplace, we look forward to working with the FDA and the public to tackle these issues," the spokesperson said in a statement. However, the National Cattlemen’s Beef Association (NCBA) says the USDA should regulate this new kind of meat. Danielle Beck, NCBA director of Government Affairs wrote in a statement that the group looks forward to their participation in the public meeting to advocate for the Food Safety and Inspection Service (FSIS), an agency of the USDA. "The Food and Drug Administration’s announcement disregards the [...] USDA's significant scientific expertise and long-standing success in ensuring the safety of all meat and poultry products," Beck wrote in the statement. "Under the current regulatory framework, FDA plays an important role in terms of ensuring the safety of food additives used in meat, poultry, and egg products. All additives are initially evaluated for safety by FDA, but ultimately FSIS maintains primary jurisdiction." 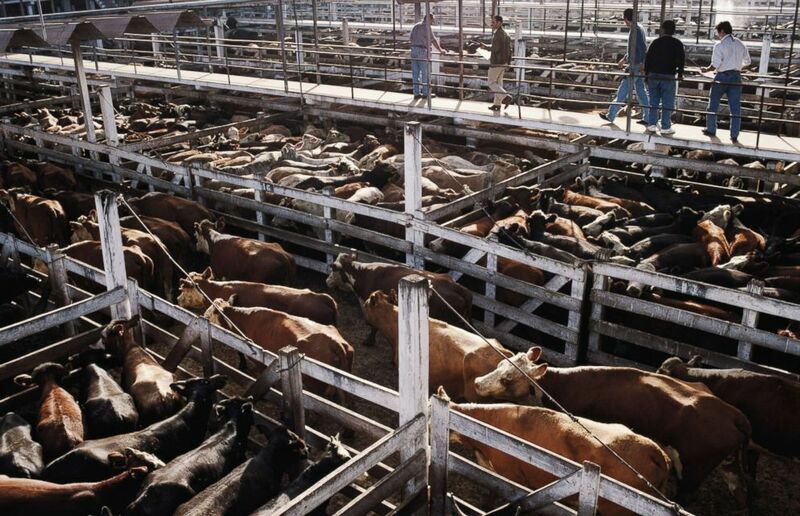 Cows are pictured in a stockyard. Other organizations like the United State’s Cattlemen Association (USCA) have argued that "in-vitro meat" is not actually meat. Earlier this year, the USCA filed a petition to the USDA arguing that cultured meat should not be labeled as meat because of nature of how it is made. "Such products, which are not derived from animals born, raised, and harvested in the traditional manner, should not be permitted to be marketed as 'beef,' or more broadly as 'meat' products," USCA stated. The FDA hopes to address these concerns in the meeting and evaluate "new areas of food innovation and establishing guidelines on how new technology can safely advance." The federal agency is now taking public comment on this matter here.